We believe a sense of wellness is a balance in the emotional, spiritual and physical aspect of an individual’s lifestyle. Personalized wellness and fitness programs of physical activities. Education that will enhance knowledge of disease process and activities for personal well-being and fitness. Opportunity for personal growth through interactions with others having similar problems. It is the function of the wellness program to structure physical activity to suit the individual's needs taking into consideration age, physical limitations and current fitness levels. 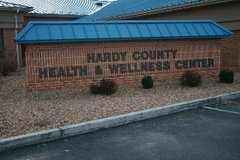 The Hardy County Health and Wellness consist of 8636 square feet which includes a reception/waiting room, a cardiovascular equipment room, a strength training room, a massage therapy room, an aerobics studio, a heated indoor pool, and locker rooms. 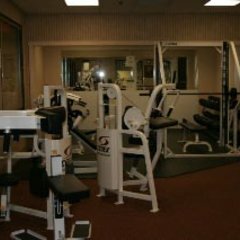 The fitness staff at the Hardy County Health and Wellness Center is dedicated to your success and providing resources that will help achieve your personal goals. 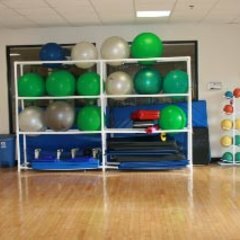 We are capable of providing wellness and fitness programs to any person who feels they need assistance with their health preventative and fitness needs. 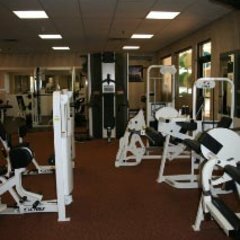 We offer a variety of membership types, such as, individual, couple, family, youth, senior, and aerobics only. Memberships include a health history questionnaire, initial assessment and complete orientation of all equipment. If you have any serious medical conditions, we require clearance from your physicians prior to your orientation. 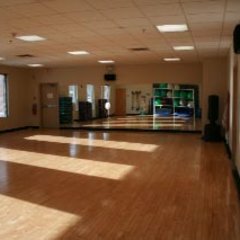 We can provide an individual training session with your own personal coach. The coach will assist you in your quest for improved physical fitness and help you conquer barriers that arise along the way. Memberships may be paid on a monthly, three, six or yearly basis. We accept cash, check, and credit cards. Day passes are available for $7 or you may purchase a gift certificate for any membership. Discounts available for PEIA and Access West Virginia Insurance. 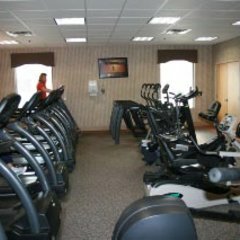 We provide a variety of services and equipment to help assist you in achieving your fitness goals. Physical activity is a necessity to maintain a body's normal function and muscular structure, while helping the body to reduce the risk of afflictions and disease. It is important to understand monitoring your heart rate during your work out to get the most benefit for your heart and losing weight. 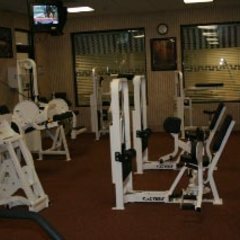 We have Treadmills, Elliptical Machines, NuStep Recumbent Climber, Stair Climber, Airdyne Bikes, Cybex Arc Trainers, Stationary Bike (recumbent and upright). Weight bearing exercise is important in maintaining muscle tone. Better muscle tone helps boost the metabolism to promote weight loss. Strength training also helps bones use calcium to make them stronger. 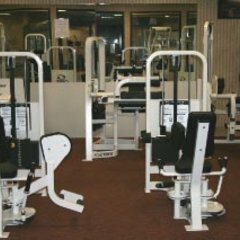 We have a variety of Cybex plate loaded resistance machines such as Back Extension, Ab Crunch, Row/rear Delt, Torso Rotator, Tricep and Bicep, Shoulder Press, Chest Press, Lat Pull Down, Fly, Chin Ups, Dip Machine, Arm Curl, Arm Extension, Leg Press, Leg Extension, Leg Curl, Adductor, Abductor, Ab Bench, Row Machine, and a Cable Column. Our heated indoor pool is maintained at 86 degrees year round. 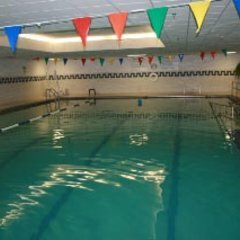 We have a railed access ramp, 4 lap lanes, free swim, aqua aerobic exercise classes, and aqua arthritis. Our exercise classes are a fun and challenging way to tone muscles and exercise the heart by using water resistance... all you need is a bathing suit. Pool Parties are a great way to celebrate a special occasion and not have to worry about the weather! Parties are limited to 40 swimmers, we provide the life guards. If you want us to do all the work, we can also include a party room, pizza, and cake. Prices vary according to services and size. We require the following: a security deposit one week in advance, chaperones, and waivers for guests under 18 years of age. Massage Therapy enhances the function of muscles and joints, reduces stress, promotes sleep and helps circulation. Our heated table is relaxing as well. Our massage therapists are nationally certified and perform massages based on your personal needs. Some insurance covers massage therapy, so check with your physician. PEIA Weight Management Program is also offered. Eastern WV Community Action Agency, Inc.
FEMA - Ready, Prepare. Plan. Stay Informed. Disclaimer: The Hardy County Commission appreciates you visiting our website. The intent of this site is to provide easy access of our services and to make us more available to the residents of Hardy County. This site contains links to other websites including governmental, private, and nonprofit organizations. These links are provided for informational and convenience purposes only. They are not an endorsement of content, policies, services, etc... All information provided by the Hardy County Commission is intended to be current, accurate, and reliable. However, this is not guaranteed and the Hardy County Commission staff can not be held liable for any information provided by this website. Anyone who relies on the information provided by this website does so at their own risk. This site is subject to change without notice.